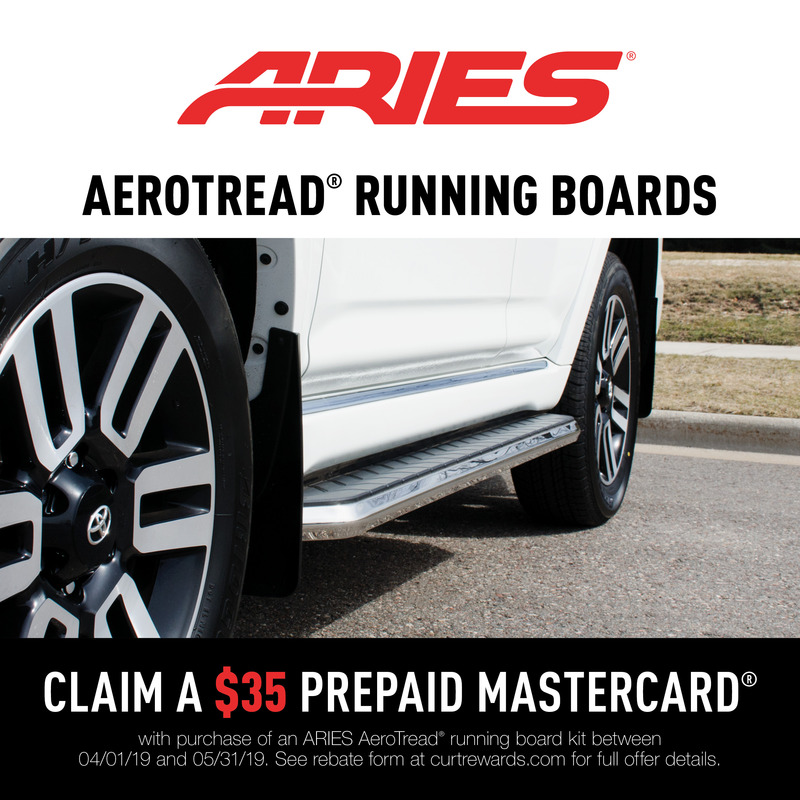 with the purchase of an AeroTread® running board kit between 04/01/19 and 05/31/19. See claim form for qualifications and full offer details. 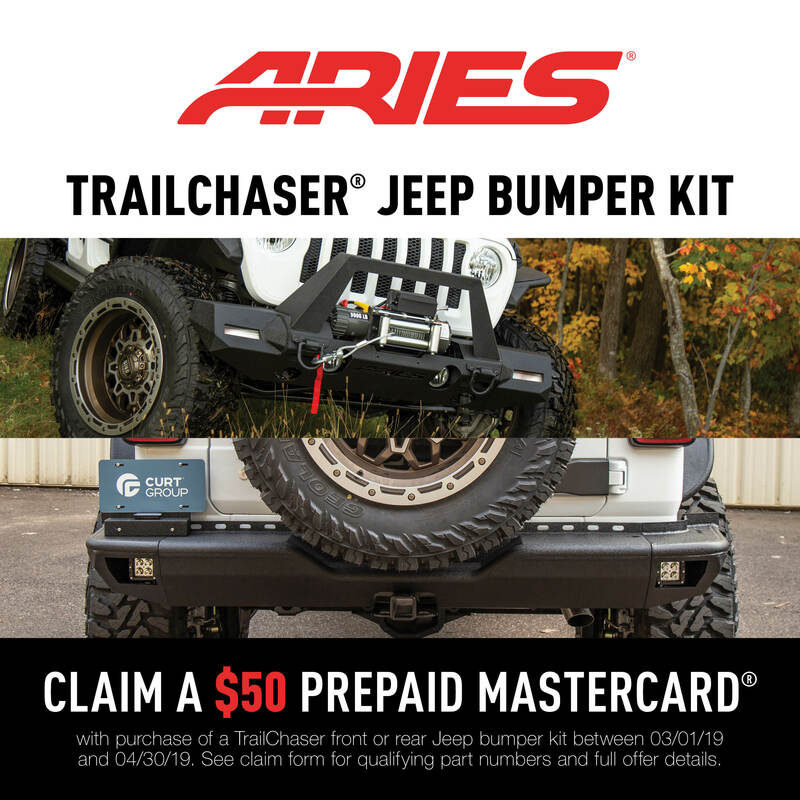 with the purchase of a TrailChaser® front or rear bumper kit between 03/01/19 and 04/30/19. See claim form for qualifications and full offer details. 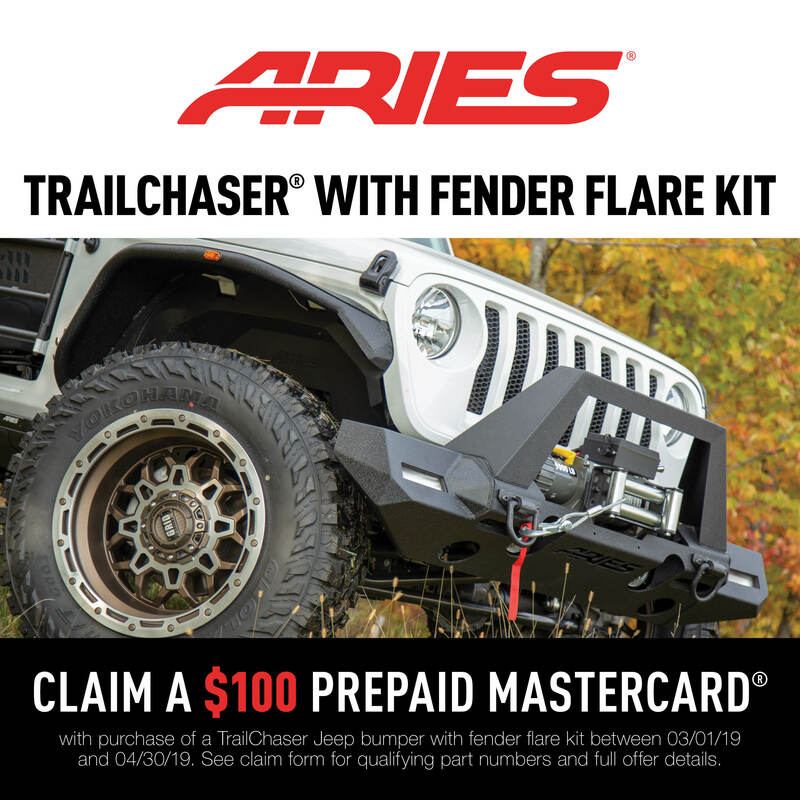 with the purchase of a TrailChaser® Jeep bumper with fender flare kit between 03/01/19 and 04/30/19. See claim form for qualifications and full offer details.